There’s a reason the phrase “roof over my head” is synonymous with the idea of a house or a home. It’s not rocket science to say that a house with no roof isn’t much of a house. Which is good, because we’re not rocket scientists at FS Construction Services. 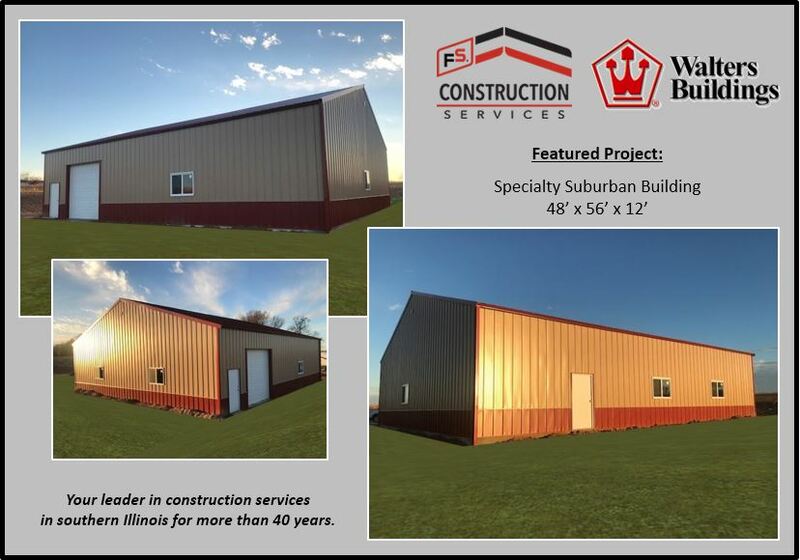 But we are experts in a variety of construction fields, including the installation of attractive, maintenance free metal roofing. We know your roof is fundamental to your home, business or agricultural building and we also know that the thought of getting a roof replaced can bring on a lot of anxiety. Thanks to our partners at Fabral, we are able to alleviate that stress. Recently, one of our clients was in need of a new roof before the full force of winter settled in. Tom Marcheski, our Building and Construction expert, went to work with his team to ensure that our client had his brand-new roof professionally installed while meeting their budget and timing needs. Now we’ve talked about the benefits of metal roofs before, but it bears repeating. 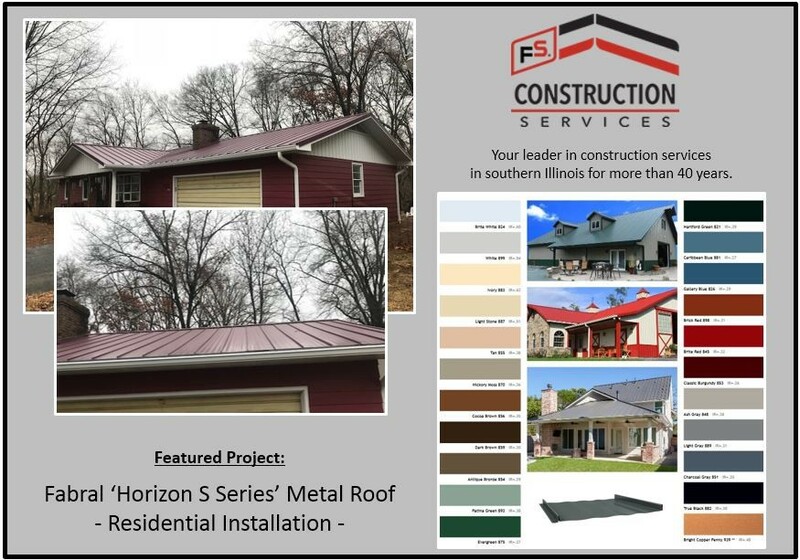 Tom and his team installed Fabral’s Horizon S Series roof onto our client’s house, which is made from 26-gauge high strength steel, has a UL 790 Class A fire resistance rating and UL 2218 Class 4 hail impact resistance. Essentially what that means is that a Fabral metal roof is strong and will provide your home or structure with safety, security and dependability. Metal roofs are built to last up to 70 years, meaning installing one once guarantees you won’t have to think about it again for a long, long time. Now we know that’s a pretty big commitment, which is why we’re happy to say that Fabral offers a wide variety of roof colors, meaning you can choose the perfect color to suit you for years and years to come. 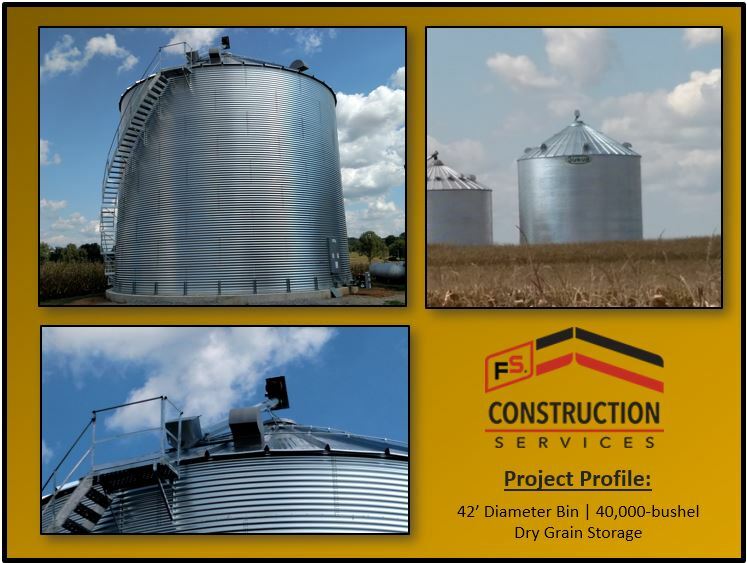 The long-lasting strength and durability of a metal roof isn’t just meant for residential houses either, but can be used in both commercial and agricultural applications as well. For questions regarding roofing installation or repair, contact the professionals at Gateway FS Construction Services. You can give us a call at 866-551-3454, and let our specialists help you find exactly what you are looking for. We look forward to providing you the best customer service experience.